Sometimes they can seem a little greasy so this is a great alternative. They taste great and are really simple to make. You will need a large baking sheet. Preheat your oven to 450 degrees Fahrenheit/230 Celsius. You will also need a large bowl. Peel your potatoes and cut them into fries between 1/4 and 1/2 inch thick. Add the sliced potatoes to the big bowl and add the olive oil. Mix the fries and oil to make sure all the pieces are coated well. You don’t need lots of oil, just a light coating is good. Lay the fries out in a single layer on the baking sheet. 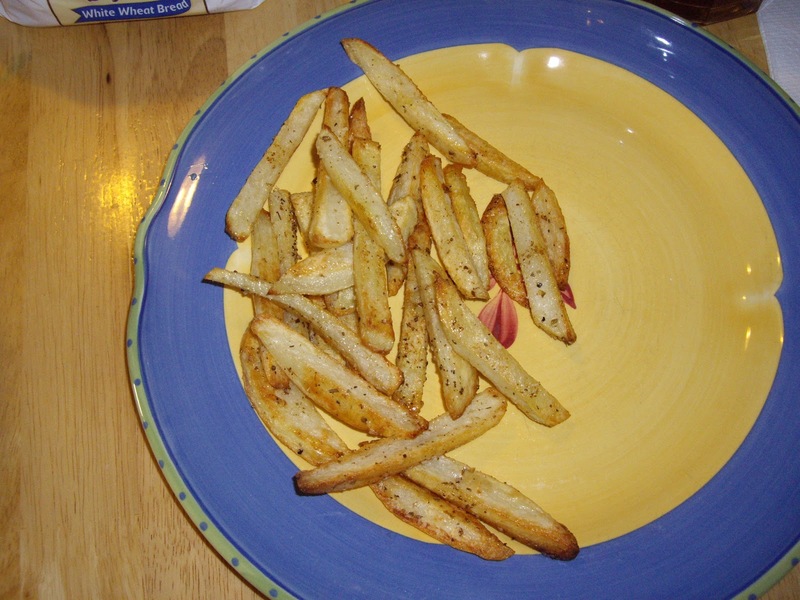 Turn the fries over, sprinkle with the salt and pepper, and bake another 10 minutes.